When I think about the Disney classic movies, I tend to think of all the animated ones. 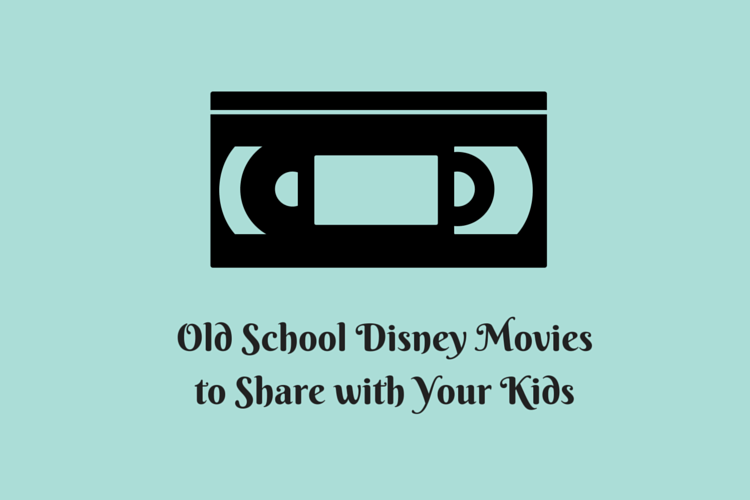 Old favorites like Sleeping Beauty or 101 Dalmatians, favorites that I grew up with like The Little Mermaid and Aladdin and new classics like Tangled and Frozen. I tend to forget a lot of the live action Disney movies that I watched growing up. I love sharing my favorite Disney movies with Jack and the live animation movies give me a whole new list of movies for us to watch together. I remember seeing this in theaters as a kid and back in the early 90’s there was a part of the Backlot Tour in Hollywood Studios that included a part where audience members got to recreate the scene where the kids flew on the bee. My brother and I were chosen to do that and we loved the experience. Honey I Shrunk the Kids is about an inventor who accidentally shrinks his kids. The kids then navigate there way through their yard to make it back to the house. The shrunken world of Honey I Shrunk the Kids is worth a viewing on it’s own. After a drunk driving charge a lawyer (Emilio Estevez) is sentenced to community service coaching a miss fit hockey team. My love of Joshua Jackson may have started with this movie. My brother and I must have watched this movie a dozen times. I am always a sucker for a sports story where the underdogs come back to win. The original one with Hayley Mills not the new version with a pre-drugs Lindsay Lohan. Parent Trap is the story of two twins separated by their parents divorce, yet each one doesn’t know about the other till they meet at summer camp and decide to switch. I love the plot of the movie, and always wondered what it would be like to have a long-lost twin. Again the original, not the one with Lindsay Lohan. The Love Bug is the story of a race car driver that rides to fame with the help of a Volkswagen Beetle named Herbie who has a mind of its own. The movie is campy and cute and spawned a number of spin offs including Herbie Rides Again and Herbie Goes to Monte Carlo. Once again the original, not the one with Lindsay Lohan (are we seeing a trend here?). Freaky Friday is the story of Mom and Daughter who switch personalities and have to live a day in each others shoes. I love the concept of this movie and when I was a teenager I definitely related to this movie. A mailman’s teenage son is transformed into a shaggy sheep dog in this comedy classic. Kids will laugh at the antics that the dog and his father get into throughout the movie. This movie is for anyone who loves animal comedy. Set in England during the early 20’s century, Pete is a 9-year-old orphan who escapes his adopted family and befriends an animated Dragon. The story combines animation and live action in a truly unique storytelling experience. Mary Poppins is a Disney classic and if you haven’t seen it, you must. Mary Poppins is a magical nanny who comes to live with the Banks family and changes the course of their family. The movie is filled with imagination, whimsical scenes and classic Disney songs like “A Spoon Full of Sugar”. Kids will love the scene where the characters jump into one of the chalk drawings. For me this was an 80’s classic that I must have rented again and again. 12-year-old David goes into the woods and finds a flying saucer piloted by Max, when he returns 8 years have passed. The idea of being missing for 8 years might be a bit much for little ones but as a kid I was scared of everything and this movie is definitely not scary. Have you seen any of these movies? Which is your favorite old school Disney movie? I can’t wait until my boys are old enough to appreciate The Mighty Ducks. They did make it half way through Mary Poppins this weekend! Ok this totally brings me back!! I think I need to bust some of these out for my kids! I know, I keep wanting to watch Honey I Shrunk the kids! Yes Yes YES!! My sister and I were just talking about The Mighty Ducks movies today. We LOVE THEM! And during the NHL Playoffs is a great time to rewatch them. Hehe! That’s a great idea to watch them during the playoffs. 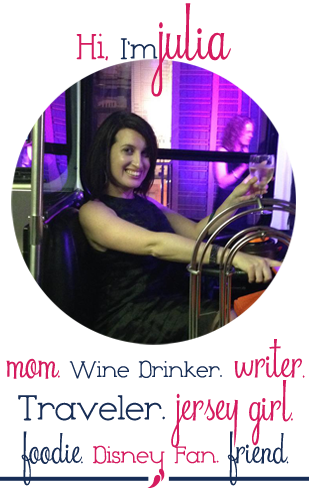 Copyright © 2019 Wine in Mom · Design by Tech·mom·o·gy Designs™.